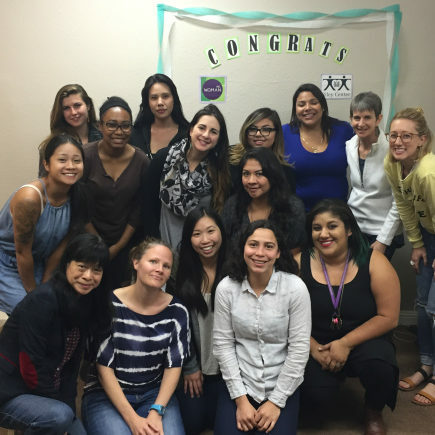 Are you interested in supporting people impacted by domestic violence? Do you want to join a community committed to racial, social and economic justice? Volunteers are truly the backbone of our agency. 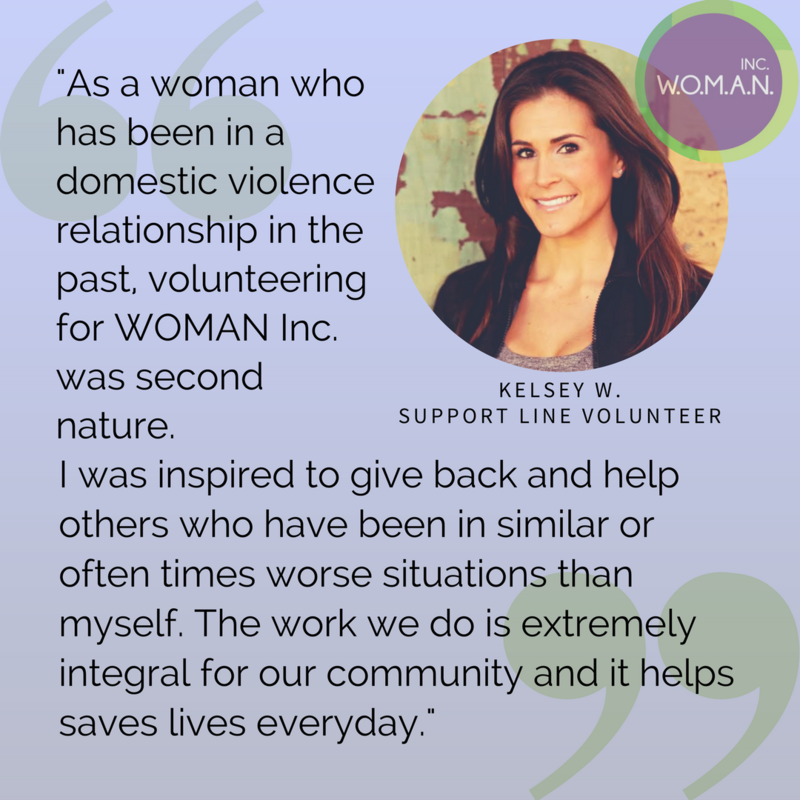 We attribute our strong foundation to the support provided by volunteers and to their dedication to supporting survivors of domestic violence. 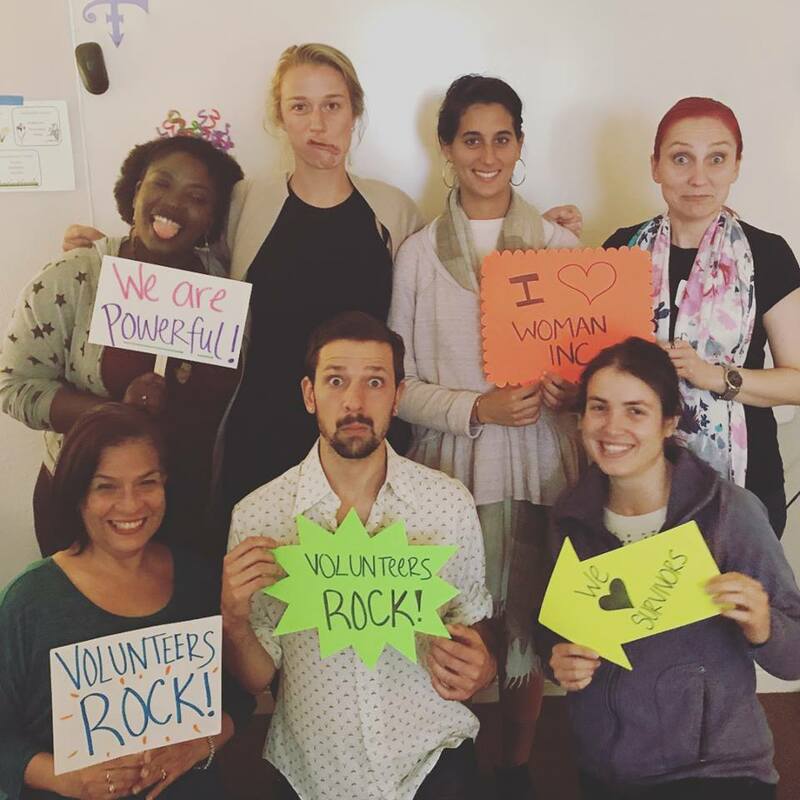 We are deeply committed to our volunteers and experience great joy in providing personal and professional growth opportunities for them. 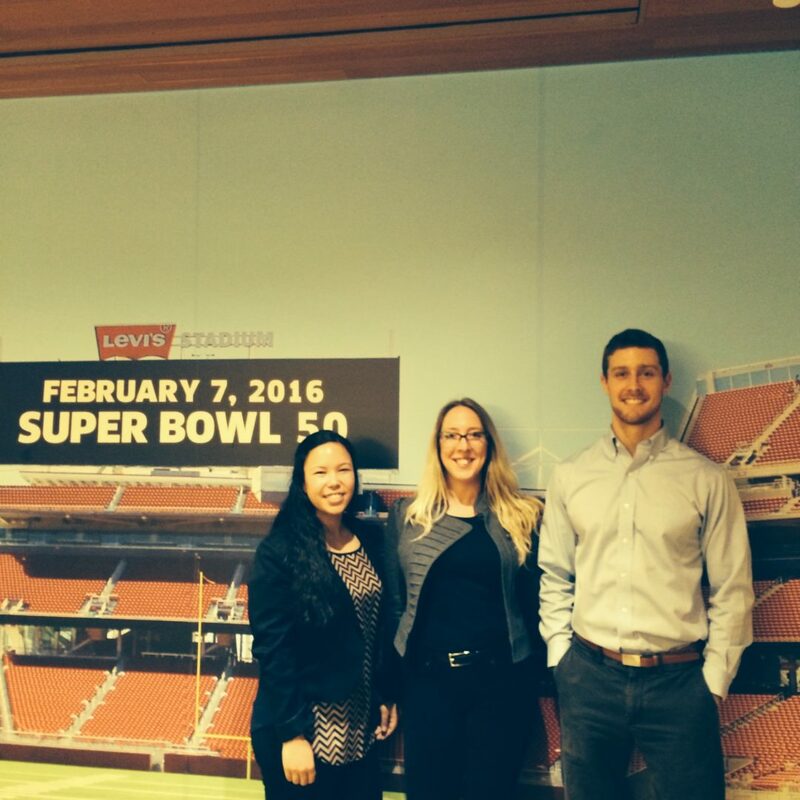 We are proud to have a diverse and thriving volunteer program with many opportunities. Below are a number of programs within W.O.M.A.N., Inc. that offer opportunities for the support of volunteers. 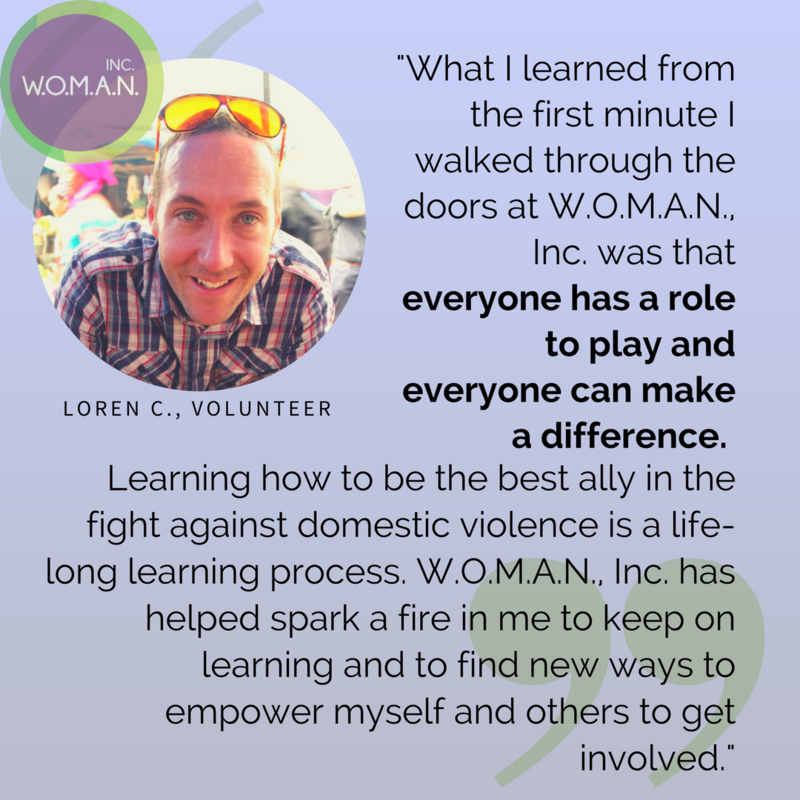 W.O.M.A.N., Inc. offers the required 40-hour training on domestic violence for applicants interested in providing support and education. Our updated 40-hour training is a hybrid learning experience that combines the use of online modules and in-person activities. All applicants are required to read our Cultural Praxis, click HERE to review document. 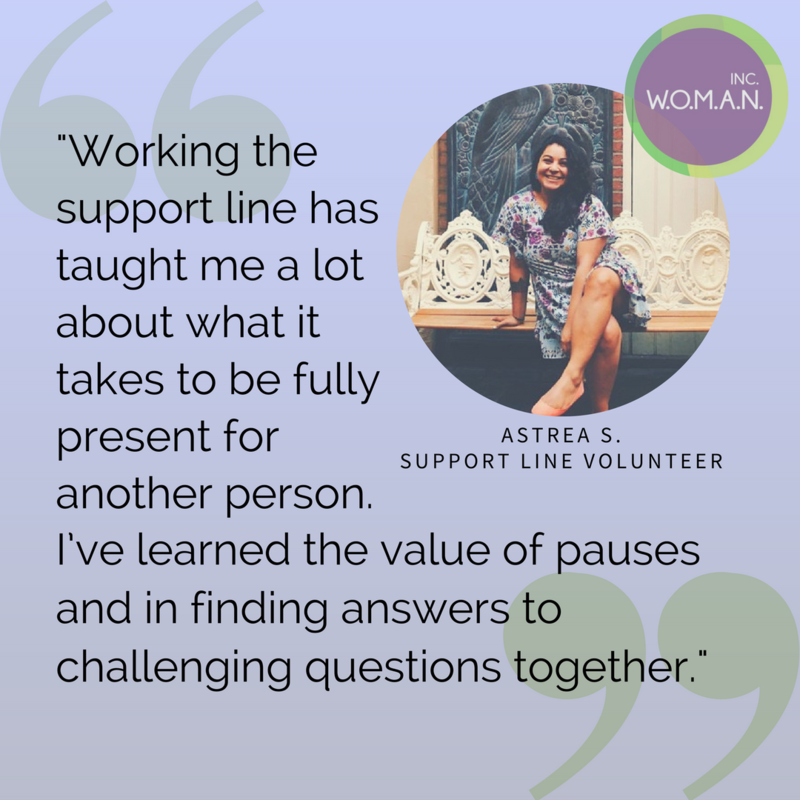 We ask all Survivor Support volunteers to commit to at least four hours of service every week for a year. Training participants and volunteers must have access to the internet during training and their support line shifts. 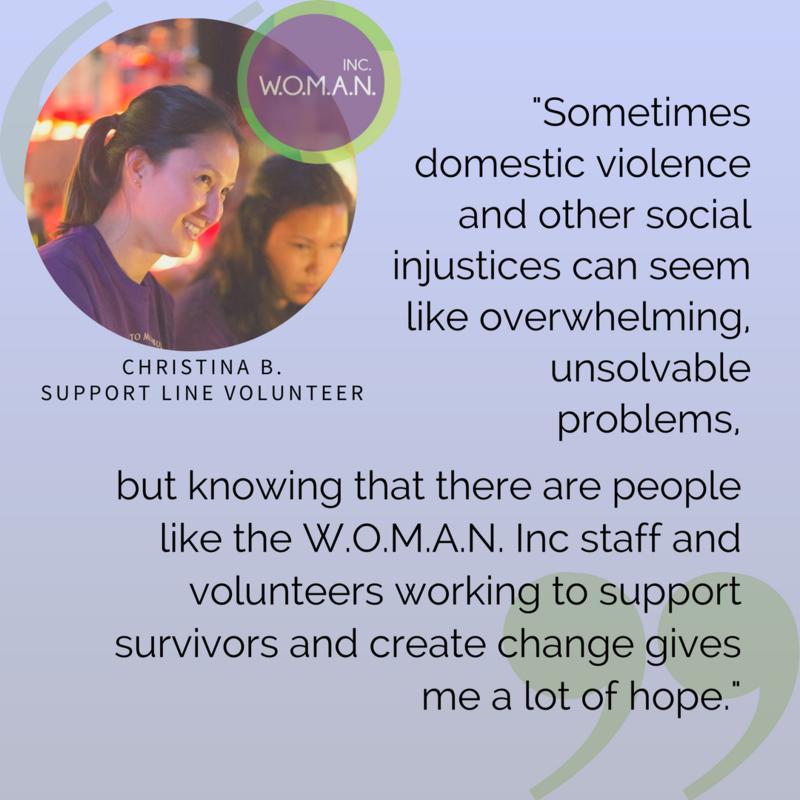 If this poses an issue, please contact Alicia (alicia@womaninc.org). If you are interested in applying, please fill out our volunteer application HERE. Applicants will be invited to participate in an interview pending thoroughness of application (including review of Cultural Praxis). We are inviting passionate individuals who bring experience in fundraising, governance, project management; who are survivors, members of queer and/or trans communities, Latina/o, and are able to commit to supporting our Core Team as it moves our agency vision forward.